Emporium was born of a dream, an ideal …. 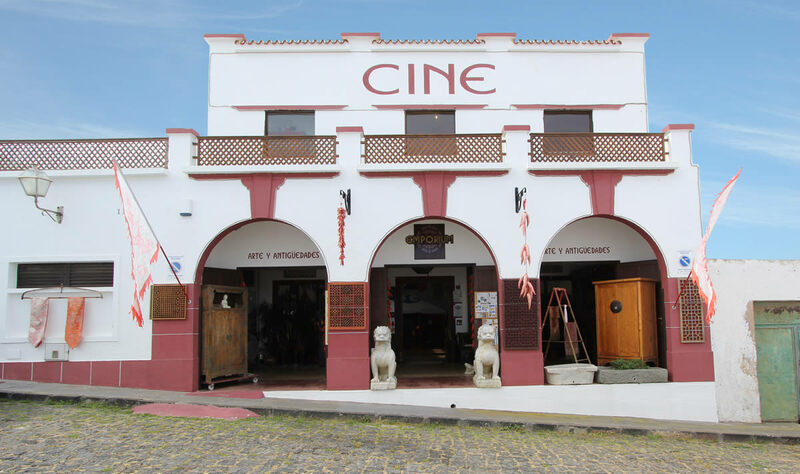 Its owner, Indigo Bucher, comes from a family of artists of recognized prestige, based in Lanzarote and falling in love with the old cinema of the Villa de Teguise, he acquires as part of its family patrimony without being clear what purpose this historic construction would have. Fate wanted Mr. Bucher to travel to China, and after his first visit to that vast country, his Asian adventure began taking form by creating EMPORIUM Home Deco. Since then, after more than 30 trips to Asia, he brought ancient pieces and exquisite reproductions from the Ming and Qing dynasties, as well as Tibetan furniture and objects, works of art, textiles, fine arts items and curiosities from the Far East decorate the old cinema of Villa de Teguise at prices very affordable. EMPORIUM was inaugurated in 1999 and is a solidly established dynamic company dedicated to importing mostly Chinese furniture to the Canary Islands. We have been pioneers in Lanzarote in this type of furniture and we offer to our client’s furniture of exquisite beauty.